Nowadays, the popularity of online grocery shopping is rapidly increasing. Growing online sales is the primary goal of many businesses, large and small alike. Whether you are planning to create an online grocery store, or already have one, you must use effective strategies to boost sales and customer satisfaction. 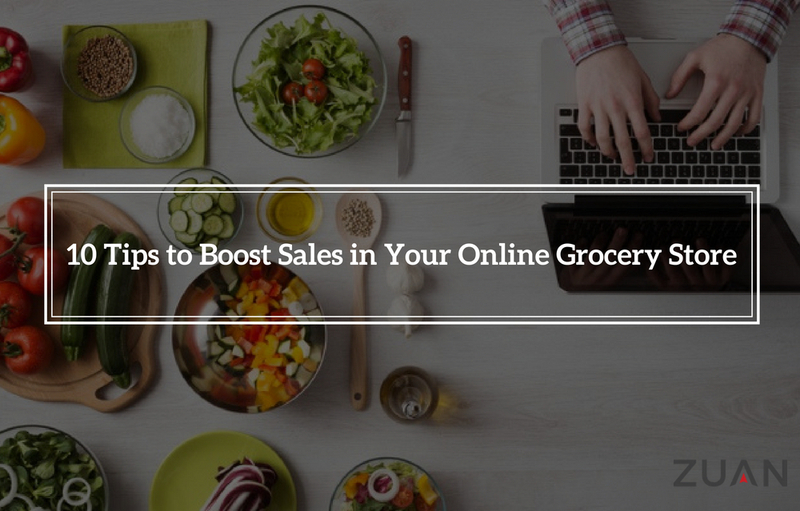 In this article, we have gathered some worthwhile strategies to grow your online grocery business. Here are the 10 effective techniques you can use to boost online sales performance and this will help you to reach a new, higher level of success. A personalized call-to-action is more precise. While it does not significantly address every individual buyer separately, it brings into account where they are in your sales funnel. In a research of over 93,000 CTAs, HubSpot determined that tailoring the CTA text based on whether customers are leads, visitors, or paying clients improved their conversion rates. The another most important call-to-action is your up-sell & cross-sell notification – both as the buyers are adding products and as they are checking out. Therefore, this is an excellent tool for growing engagement and knowledge about your product offerings and, as a result, improving sales. Simplifying the checkout process is an excellent way to ethically increase your eCommerce sales. In fact, one of the main reasons for shopping cart abandonment is that there are so many steps in the order process. According to the research, 27% of cart abandonment is due to a complicated or extended checkout process. This means for some reasons customers do not complete the shopping. It refers to the potential buyers who add products to the cart and exit before they end the checkout process. So, all the extra step in your checkout process makes it more difficult to complete, and adding to that process will drive away a fraction of your potential customers. To be competitive in today’s online shopping market, you must have a mobile-friendly eCommerce website. It is really essential for online business. Nowadays, people are frequently using their mobile devices to search for and purchase products, however, they need an intuitive, seamless user experience. According to the Google survey, 61% were more likely to leave if a website was not mobile-friendly. As per Comscore report, mobile users now surpass the number of desktop users in the U.S. If you want to maximize conversions on your eCommerce store, it is important to provide best mobile experience to the customer. Make your eCommerce website responsive. Make sure your website loads quicker. Most people keen when they hear the word “popup”, and reasonably so. The popups help your online grocery store generate email subscribers by offering a particular discount or coupon to the customer who fills out a form. Besides, Pop-ups can help reduce shopping cart abandonment rates & boost your conversions. If you really need to increase your conversion rates and sales, don’t overlook the potential of opt-in offers. Moreover, pop-ups not only improves your contacts significantly but also increases sales promptly. Make sure that your pop-ups will perform well by giving something appropriate and useful to the customer. In case If your offer is a promo or freebie that your customers are happy to use, then the pop-up window will be perceived as a gift rather than a disturbance. Do you want to make your consumers happy? you should find a way to keep existing buyers to purchase from you again. So, the best approach to do that is with the help of loyalty program. Provide rewards in the form of points which they can utilize to acquire free products, free shipping, discount coupons to your loyal customers. Besides, this will definitely encourage customers to visit your online grocery store repeatedly. On the other hand, likely rewards are not as effective – they may also lead to lower levels of happiness, says psychology. Every consumer has a different question, and it’s really infeasible to answer all of them all the time. Using live chat, the consumer can ask questions or reveal concerns before making any shopping decision. Hence, this opportunity can boost the conversion rate or fulfill the consumer shopping experience for your brand. Besides, providing live chat on your eCommerce website will also allow you to find the lesser and common problems felt by the consumers. Solving those problems can lead to an overall growth in conversions. 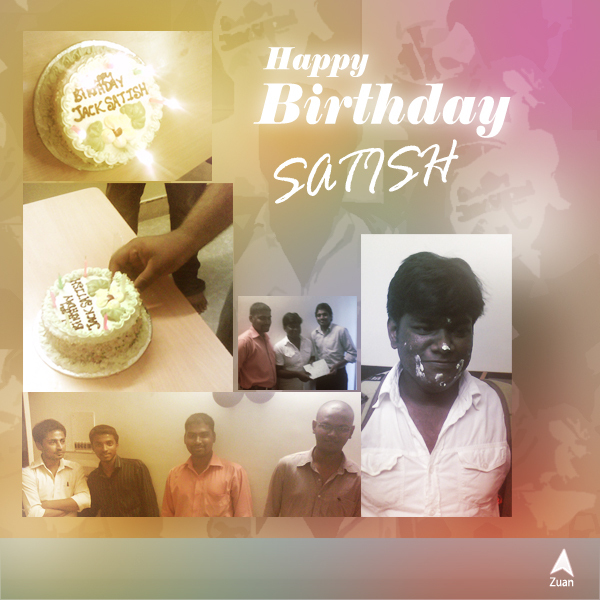 Moreover, a number of firms had great success with chat apps. A company Intuit improved their conversion rate by 211% with adding a chat feature. By simply asking the customer to “look around” and chat if they have any questions, they have found a simple method to support discussion without selling a product. Having multiple payment gateways for your online grocery store provide more convenience to your customers. Moreover, it will prevent shopping cart abandonment. Although, many payment gateways give consumers the option to buy using their smartphones, further adding to the flexibility. By offering more payment options like Google Wallet, ApplePay, Stripe, WePay, including newer services that are becoming frequently popular on mobile. Absolutely, it can be a hassle to optimize your eCommerce website to add all these options, however doing so is a great method to boost online sales, especially if your grocery shopping website has great mobile traffic. 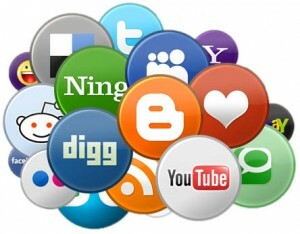 Social media gives great marketing opportunities for all types of online businesses. You can use social media to build stronger relationships with existing customers. Make sure your customers can easily access your social network channels from your online grocery store. Adding a “Like” or “+1” buttons to your eCommerce store will turn your customers into promotional agents that help spread the word about your brands and products. Make sure your buyers can share desired products to their friends via social media. This gives your customers the seamless shopping experience. In today’s social media environment, customer feedback is quite important. The positive reviews of satisfied consumers can help you get the trust of your potential clients. And the negative reviews can help you get experience and work on the points that buyers revealed a dislike with your services. The groups of satisfied consumers are considerably more influential than even the well-written sales copy, so be sure to add many reviews and testimonials that speak to how incredible you and your services are. These might look on your product pages, pricing page, landing pages, even your home page of your online store. Tiered pricing is an excellent way to target an audience and inspire consumers to spend. It is a strategy employed to determine a price per unit within a range. It’s necessary to consider pricing as that will perform a part in your consumer’s overall satisfaction. This pricing strategy is helpful because you are providing different pricing versions for your product, so buyers have the possibility to pay for what they can afford. The lower price “tiers” will entice consumers who may finally move to higher priced packages. Besides, it provides for creative options such as grouping products by quality, quantity, and service. Almost, every major business you find uses it in some way. 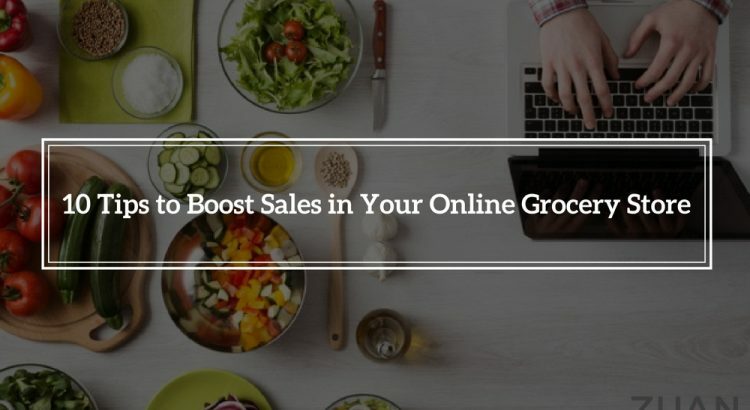 Running a successful online grocery business is never easy, but using the above-mentioned strategies will help you to increase your sales and improve conversions. Once you identify how your audience thinks, you can customize your strategy to become more effective. Make sure that you use the right grocery eCommerce solution & approach for your industry to target market. And that you always combine these strategies with this most effective weapon of all astounding customer service. Excellent blog, the way you presented the matters is very informative.And Online Grocery Store and that marketing strategy was amazing. Wounder full blog!!! The thinking of the concept is very good. And the quality of the content is also very innovative. particularly the socialize your online store points are very informative. Which kind of customer testimonial is good for Ecommerce site. Is Video Testimonial is ok ??? ?